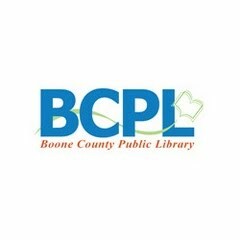 The Boone County Public Library offers events at its branches and throughout the county during the month of March. Some events are one time only while others are recurring throughout the month. A list of scheduled events for adults is included here. A separate list of events for teens and children will be published separately. Learn the basic postures and flows. Please bring a yoga mat. $30 fee for the month. Call Boone County Parks to register at 334-2117. Relax and explore Hatha yoga postures. Bring a yoga mat. $30 fee for the month. Call Boone County Parks to register at 334-2117. Tues. and Thurs., Noon-3 p.m. 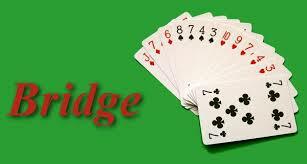 Practice your English with fluent English speakers! This is a relaxed, conversational setting for adults learning English to practice and improve. All levels welcome. For people studying Spanish as well as those passionate about the language. All skill levels are welcome! Presented in partnership with Gateway Community College. Thursdays, 5 p.m. and Sundays, 1 p.m.
Do you like to play Rummikub? Do you want to learn how? Rummikub (pronounced Rummy-cube) is a cross between rummy and mahjong. This class is suitable for all levels! Please bring a yoga mat & small handheld or wrist weights (optional). $30 fee per month. Call Boone County Parks to register at 334-2117. Mon-Fri, beginning March 1, 9-10 a.m.
Get your weekday morning coffee fix for free and enjoy conversation with other coffee affictionados. Family Tree DNA, offers testing of autosomal DNA, Y-DNA, and mitochondrial DNA to individuals for genealogical purposes. This presentation will take an introductory look at results provided by FamilyTree DNA for these different tests. Please register. Thursdays, March 2, 9 & 16, 1 p.m. This 3-week class starts on the first Thursday of each month and covers all the basics of how to use a computer and surf the Internet. Learn about the parts of a computer system, how to get online and get to websites, how to use search engines and perform keyword searching, and how to set up and use an email account. Please register. Thursday, March 2, 3 p.m.
Thursdays through April 6, 6 p.m. Learn American Sign Language (ASL) from Cynthia Long, a Nationally Certified ASL Interpreter and Founder of Sign Baby Sign. Through this six-week series, you will learn the lessons from part one of the class “Learn ASL in 60 Days.” Class meets every Thursday in March and the first Thursday in April. $20 fee for the class. Please register. Fridays through April 15, 9 a.m. Targeted to low and moderate income taxpayers, the Tax-Aide program gives special attention to those 50 and older. No one is turned away unless the tax situation is too complex or beyond the tax preparers’ training. Schedule appointments by calling AARP at 859814-8628. With health and diet fads coming and going as quickly as they do, it can be hard to separate fact from fiction. Kevin Brunacini, aka The Diet Doc, will debunk four of the biggest and most common myths about nutrition and weight loss. Please register. Tuesdays, March 7 & 21, 7 p.m.
Join other local writing enthusiasts every other Tuesday night. Share your work, get feedback, encouragement, and perhaps even inspiration to write your masterpiece. Thursday, March 9, 10 a.m.
Thursday, March 9, 6:30 p.m.
You may have heard of Walton’s Triple-Crown winning jockey, Steve Cauthen, but there is much more to the story of horses in our community. Whether used for work, sport or pleasure, these animals have long held our collective interest. Join us for a look into Walton’s rich equestrian past. 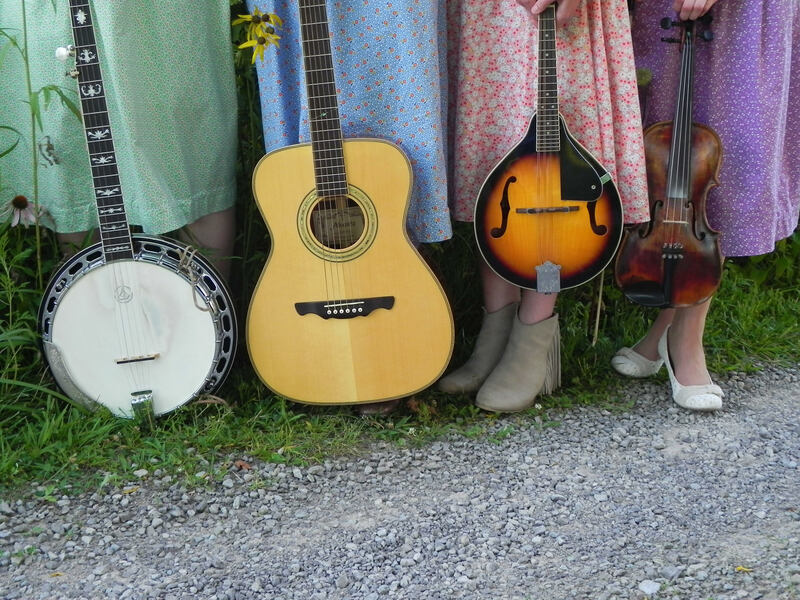 An all-girl bluegrass and gospel band, Lafferty Pike performs with energy, musicality, and faithfulness to the genre’s traditional sound. Saturday, March 11, 10 a.m.
Tile painting workshop with ceramic artist Megan Sauter. Bring a drawing or create one that day. Drawings will be transferred onto a 4 x 4 inch tile and painted with colored glazes. Paint 2 tiles for $10, additional tiles available for $5 each. These make great coasters or decorative plaques. Tiles will be fired and returned 2-3 weeks after the workshop. Please register. Sunday, March 12, 2 p.m.
Steve Mason returns to perform Broadway show tunes under the Dome. Please feel free to sing along. Monday, March 13, 12:30 p.m. or 5:30 p.m.
Wednesday, March 15, 10:30 a.m.
Wednesday, March 15, 7 p.m.
Thursday, March 16, 9:30 a.m.
Thursday, March 16, 10 a.m. Learn about the murals painted on the flood wall along the Roebling Bridge depicting Covington’s history. 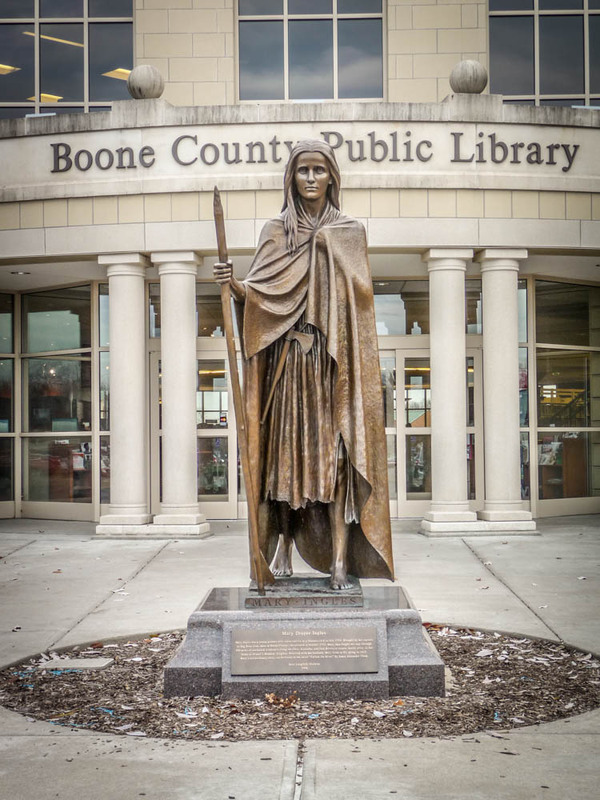 Presented by Edward VonEye, a member of the Boone County Historical Society (BCHS). BCHS will have a short business meeting preceding the presentation. The presentation is open to the public. Friday, March 17, 7 p.m.
Trivia Night is being taken over by the Fandoms! Test your knowledge of Star Wars, Star Trek, Harry Potter and more! Bring your own team or we’ll put teams together for you. Please register. Monday, March 20 12:30 p.m. – 6:30 p.m.
Our area is always in need of blood donations. Save lives by giving the gift of life! Register online at https://donateblood.uc.edu/Donor/ and search for zip code 41005. Walk-ons are welcome! Tuesday, March 21, 11 a.m. If trying new recipes is your thing, this is the book club for you. Join us each month as we explore a new theme. Attendees will try recipes from a cookbook of their choice related to the theme. March is Noodle Month, so select a book featuring noodle dishes such as Italian pastas, Japanese noodles or good old Mac & Cheese. Try a few recipes and come to the book club to share your review of the book. Attendees are welcome to bring a dish related to the monthly theme to share. learn more or explore other ways you can help! Wednesday, March 22, 12:30 p.m.
Friday, March 24, 7 p.m.
A mixture of traditional, folk, and contemporary Celtic music played on the traditional Irish harp and bagpipes. Saturday, March 25, 8 a.m.-1 p.m.
Over 35 local NKY genealogy, history and preservation organizations represented from across the region and 10 great presentations to choose from including info on Beverly Hills Supper Club, underground railroad, etc. $8 for pre-registered; $10 at the door. Please register at www.bcpl.org/events. Monday, March 27, 10 a.m.
Sew small quilts to comfort children during their stay at the Ronald McDonald House. Materials are provided, but you may bring a sewing machine. You are still welcome to volunteer even if you can’t sew. Monday March 27, 7 p.m.
Monday, March 27, 12:30 p.m.
Tuesday, March 28, 10 a.m. This interactive class will cover the basics of using Ancestry.com. Learn how to navigate the site and search for your ancestors using the collections. This class will be taught in the computer lab where participants will have access to a computer. Please register. Tuesday, March 28, 7 p.m.
Learning some basic self-defense techniques can help you feel safer where you work, live and play, and can help you be better prepared to protect yourself and others. Taught by 2nd degree black belt Shawnie Haskell, the techniques in this class are easy to use and require little to no strength. $5 per person. Please register.